Your “ideal” Blood Pressure (BP) is below 120/80. And they treat patients with Diabetes to achieve a Blood Pressure of 130/80 or less. NICE, the national institute for clinical excellence supports patients checking their own blood pressure. Studies show patients do much better when they are “in control” of their own blood pressure rather than being (not so) blissfully unaware and letting doctors and nurses get on with it. Thus, please purchase your own equipment as soon as you can. 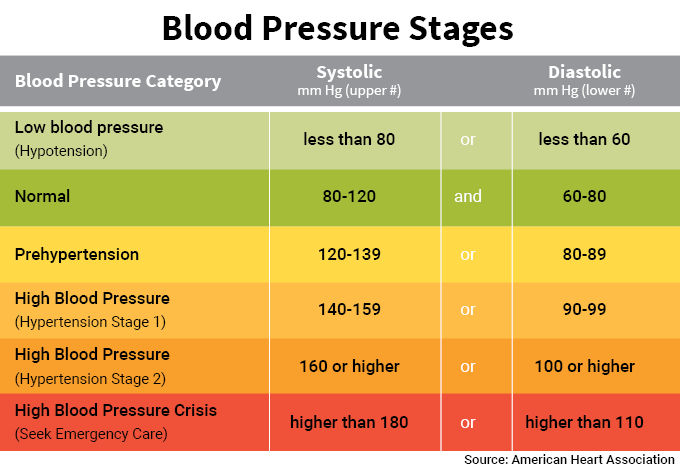 Click here for a NICE approved BP chart. Fill it out with your readings and drop it to your GP. Be aware that average readings are what counts. Occasional peaks or troughs are normal and can be influenced by a lot of things. Firstly, take it seriously. 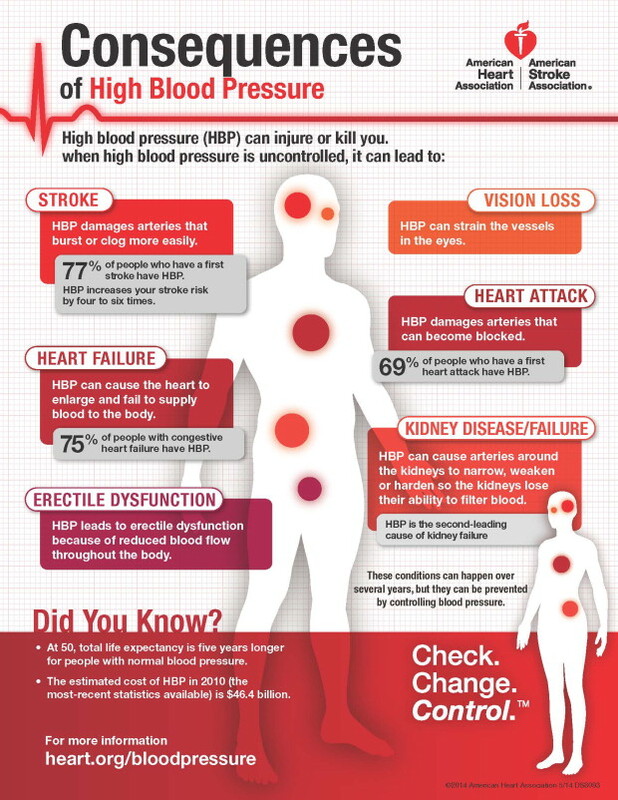 Blood pressure (BP) is called the “silent killer”. It is the major cause of heart attacks and strokes. Secondly, invest in Blood Pressure Equipment and take control of your condition. Your average BP should be under 140/90 (140/80 for Diabetics) and ideally 120/80 or less. The best information comes from measuring your BP twice a day. 2 readings each time. 2 minutes apart. Please do this for a week and take the average reading each time. Average out the 14 readings and you get a reliable average blood pressure. Let your doctor have those readings for their notes. Find a sheet below for filling out and returning to your doctor / nurse. Ensure your BP is treated and be persistent in attending with your doctor or nurse to adjust your medications until it is as low as described above. Start exercising. Cardiovascular = sweat producing exercise. Three times a week for 45 minutes or 5 times a week for 30 minutes. And you will find your BP will drop by 10-15. Reduce Salt in your diet, do not use any additional salt and choose foods low in salt. Try to loose weight. Slimming and a diet low in Cholesterol will further reduce your risks. A Mediterranean diet is ideal. Talk to one of our nurses about a free slimming world referral. Remove Hydrogenated Vegetable Oils = Trans fats from your diet. Check all the packs of any pre-prepared food you buy. It’s in everything. From chocolate to Peanut butter to cakes to Pasta Sauces. Cook from fresh. Don’t buy ready made products. Stress is a huge risk factor for BP. Read about mindfulness. There are many books. Find the one that suits you. One that may be useful is “Mindfulness – a practical guide” Finding peace in a frantic world by Mark Williams and Danny Penman, but others are equally good and may be more useful as there are different life situations for different people. Try to eliminate stresses from your life if you can. Enjoy life more. Relax. Arm monitors are thought to be more accurate than wrist monitors. Also ensure the cuff is not too small as your BP will read too high or too small as your BP will read too low. Your pharmacist can advise.